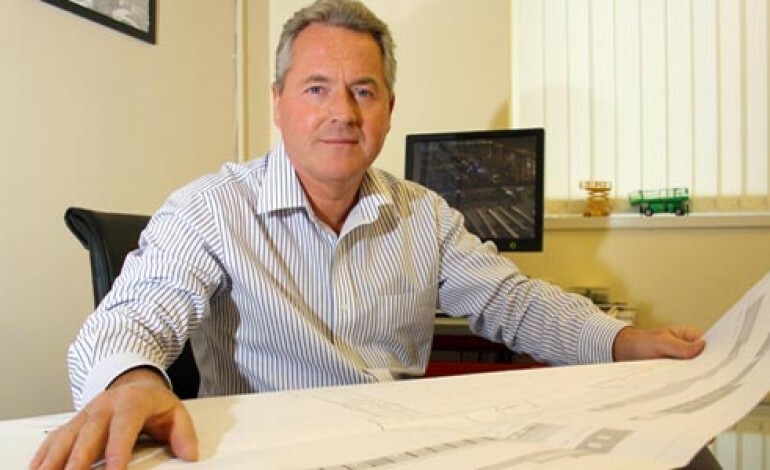 Newton Aycliffe firm Finley Structures is continuing to battle the economic downturn by reporting a 36% increase of turnover to £15m. The family-run company, based on Aycliffe Business Park, has swelled turnover from £11m to £15m in the year up to the end of March 2013. 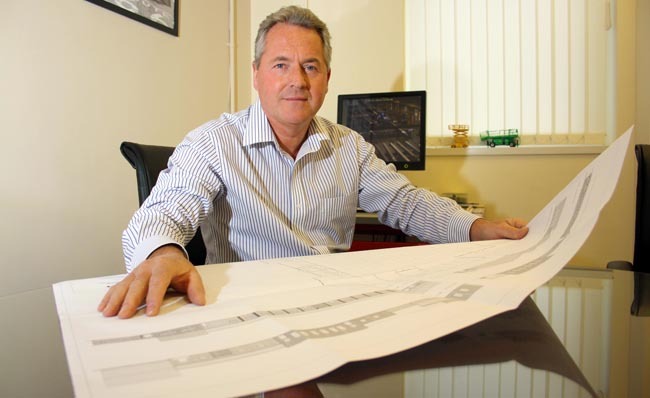 And its sister company, SCH Site Services, has also increased turnover, from £2m to £3m. Finley’s has increased its workforce in the last year to cope with a strong order book, up to 59 full-time employees made up of 42 production and 17 office staff, while SCH currently employs 34 people, 29 of which are on-site and five office-based – employing a total of 93 combined. The firm – based less than a mile away from Amazon Park, the venue for Hitachi Rail Europe’s £82m train-building facility – has recently worked on high-profile contracts for the National Renewable Energy Centre (NAREC) in Blyth and also built the steel frame for Nifco’s state-of-the-art factory in Eaglescliffe near Stockton (pictured below). The company is currently working on a 1,000-tonne project at Drax Power Station, a 500-tonne contract at Ercall Wood Technology College in Telford and a 400-tonne job at Daventry Academy, all for Shepherd Construction, as well as a 70-tonne contract for Carillion Building at RAF Leeming in North Yorkshire. Recently completed projects include a 300-tonne contract for Mansell Construction at Wellstream in Newcastle, a 150-tonne job for Vinci Construction at the University of York as well as Wellington Place in Leeds for Shepherd Construction (25-tonne), Great North Park Community Centre in Gosforth for Sir Robert McAlpine (65-tonne) and a 175-tonne job at Nuneaton Academy, also for Yorkshire-based Shepherd. Despite the doom and gloom in the construction industry, managing director John Finley (pictured above) says he expects his company to continues its strong performance this year. He said: “A lot of people ask me why we’re flourishing when dozens of companies in our industry have floundered. I put it down to our dedicated and highly-skilled workforce. “Their expertise, attention to detail and excellent team players makes us one of the strongest teams in our market place, and our performance is testament to that. “More and more of our contracts seem to be getting further afield these days, but we don’t mind. It only demonstrates our ability to adapt and to work on large-scale projects whether they’re a mile away or 300 miles away. “Our order book for the rest of the year is also busy which means we continue to buck the construction trend. “We’ve recently added health and safety expert Mark Stones to our staff, as well, and he brings bags of experience with him as well as qualifications in an area which is hugely important in our industry, while we’ve also appointed a number of key personnel recently, both by internal promotion and external recruitment. Mr Finley is also playing a key role on the Aycliffe Business Park steering group, which holds regular and well-attended meetings and networking events for companies that reside on the park. He added: “It’s an exciting place to be at the moment – there’s a lot happening. 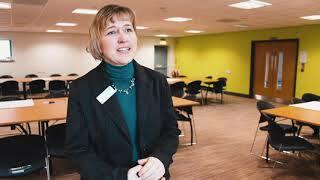 “A huge amount of work is going into making the place look smarter, and a lot of credit must go to Durham County Council and Business Durham for their help, as well as the steering group, which includes Kerina Clark from the Xcel Centre, Pamela Petty from Ebac and Dave Spensley from Aycliffe Fabrications, who’ve all played huge parts. “We continue to build and maintain relations, communication and inter-trading on the park and we’re starting to see the fruits of our labour with some improvements already taking place, while the events that are being organised are being very well-attended. “It’s all really positive stuff and my involvement is about making the place a better environment. The whole ethos of the group is to improve the park on the whole and make us more sophisticated, and we’d welcome any businesses not currently involved to get involved. Next article THEFT TAKES THE BISCUIT!